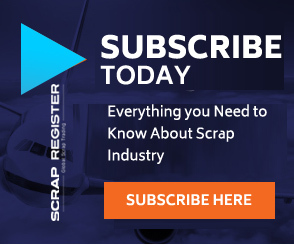 NEW YORK (Scrap Register): The Federal Open Market Committee was more dovish than expected Wednesday after a two-day policy meeting, said Marc Chandler, chief market strategist with Bannockburn Global Forex, LLC. “The one rate hike many economists, including ourselves, anticipated was pushed into next year,” Chandler added. The balance-sheet unwind will be taper sooner than expected, and the confirmed end in September, the earliest date expected. The Fed's forecasts reflect an economy that is perceived to be past its cyclical peak. He noted that Fed Chair Jerome Powell described the U.S. economy as fundamentally strong. Despite projecting above-trend growth this year and next and below 4% unemployment, with inflation remaining around the 2% target, the Fed deems it necessary to still provide monetary stimulus, Chandler noted.